The 2015 US Recruiting Trends report, our latest research piece, is now available for download. We surveyed over 400 decision makers in the US and over 4000 globally in order to understand what’s keeping them up at night and is a top priority during the day. The results show that established trends from the past few years like employer branding and passive candidate recruiting are increasingly cementing themselves as a top priority for leaders, all the while the competition for talent in reaching new impressive heights. It’s exciting to see that after the 2008 recession stifled hiring, things are back to being red hot. As a matter of fact they are so hot that recruiting leaders site competition as a key obstacle to hiring talent, followed closely by compensation. It’s no surprise that the two are closely paired. When compensation is a barrier to landing people, competition is typically a driving force behind that. 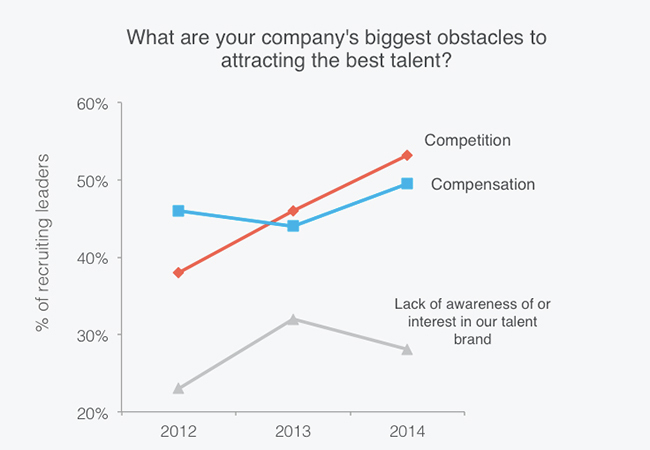 When competition gets hot, companies use salary as a lure. It’s worth noting that US companies are significantly more concerned about competition than global companies -- 53% of US leaders site this as a considerable obstacle compared to only 46% of their global counterparts. What you can do: If you’re recruiting in the US, inform your executives about the industry-wide increase in competition for top talent. Use data to quantify the supply and demand for your target talent pools and illustrate how competition will impact your hiring strategy. 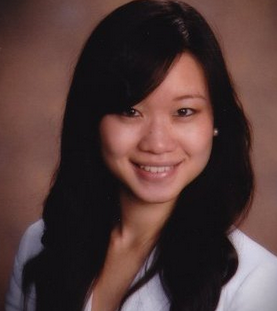 LinkedIn’s free online talent pool reports are a solid place to start. The biggest shift in recruiting in the US has been the four-year growth of social professional networks to become the top source of quality hires. This growth mirrors the increasing candidate adoption of social professional networks and simultaneously, recruiters are becoming more effective at finding candidates through this channel. Almost half (46%) of US companies cite social professional networks as one of the most important sources of quality hires, followed closely by employee referral programs (44%), company career sites (43%), internet job boards (40%), and internal hires (27%). What you can do: If you’re looking for top talent in the US, make sure that social networks are a strong factor in your recruiting strategy. Figure out where your target audience/candidates spends their time on social, and establish a presence there with your employer brand. We also recommend quantifying your return on investment from each hiring source so you know where to invest to get the most quality hires for your company. 75% of professionals identify themselves as passive candidates and recruiters in the US have taken note of that. 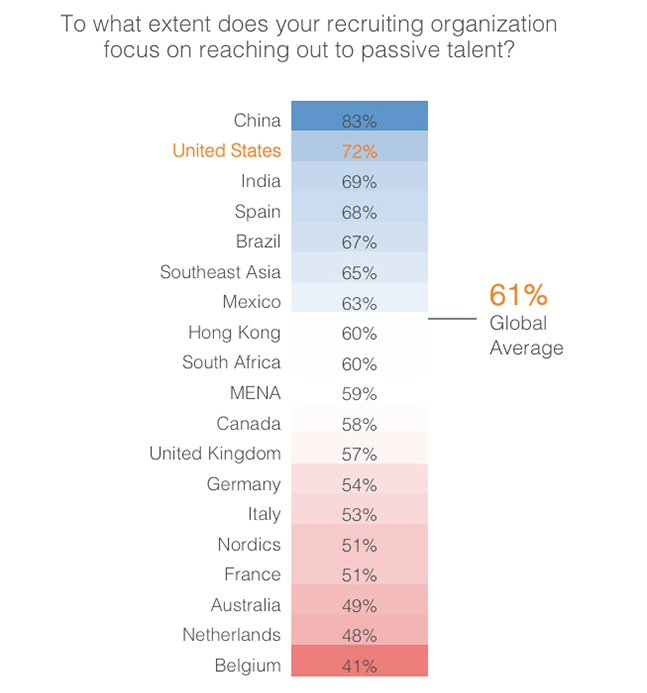 The US has become one of the leading countries in the world when it comes to recruiting passive talent, with 72% of American talent acquisition leaders saying that this is a top priority for them. What you can do: Recruiting passive talent requires a whole new set of skills and sensitivities. Make sure you invest in training your recruiters on how and where to source candidates, how to craft personalized messages, and how to present opportunities at your company as a career advancement vs. just a pay raise. 4. 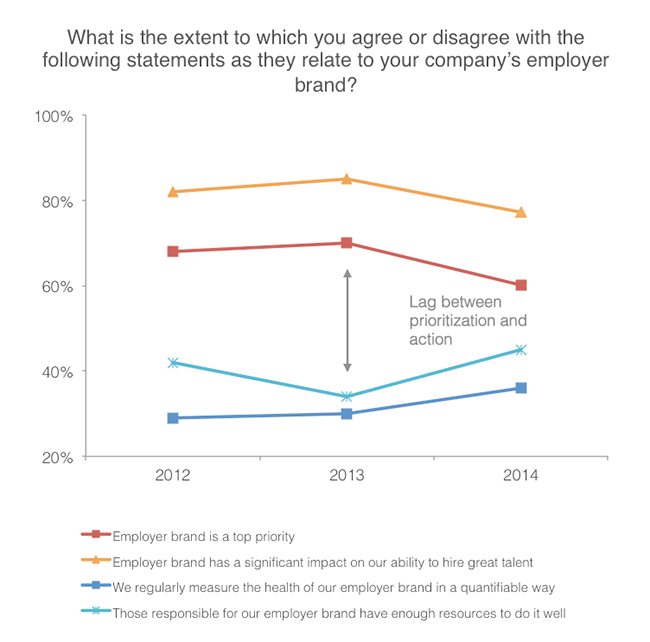 US companies are above average in prioritizing and proactively managing their talent brand. However, they have some catching up to do in properly funding and measuring their talent brand. A strong talent brand reduces cost per hire by up to 50% and lowers turnover rates by 28%. 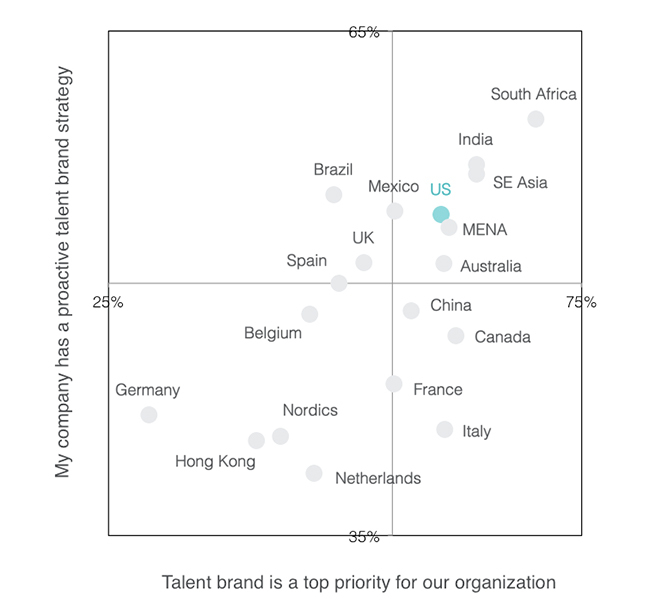 Our report shows that US recruiting leaders understand and embrace the idea of talent brand and they have built out more proactive strategies for their brands than their global peers. On the flip side, US recruiting leaders have some catching up to do when it comes to properly funding and measuring their talent brand. In the below chart, there’s a visible ~20% gap between the impact and prioritization of talent brand versus the measurement and resourcing of it. What you can do: US leaders can close this gap by benchmarking their talent brand budgets against other talent and human resources investments to ensure talent brand is funded in line with their priorities. Leverage your own employees as talent brand ambassadors, as online and offline word of mouth is a powerful channel. Create a social and content program to make candidates aware of your company as a great place to work and stay top of mind. For more tips on funding, measuring, and managing your talent brand, read our Employer Brand Playbook. These four trends are just a glimpse of the in-depth US Recruiting Trends report which we just released. To learn more about what you should watch out for in 2015 and how you should account for these trends in your recruiting strategy, download the full report.